advertising – Amelia Treader, an author and more. Still a bit duff, but less duff than the old one. The book itself will be free from Friday to Sunday. 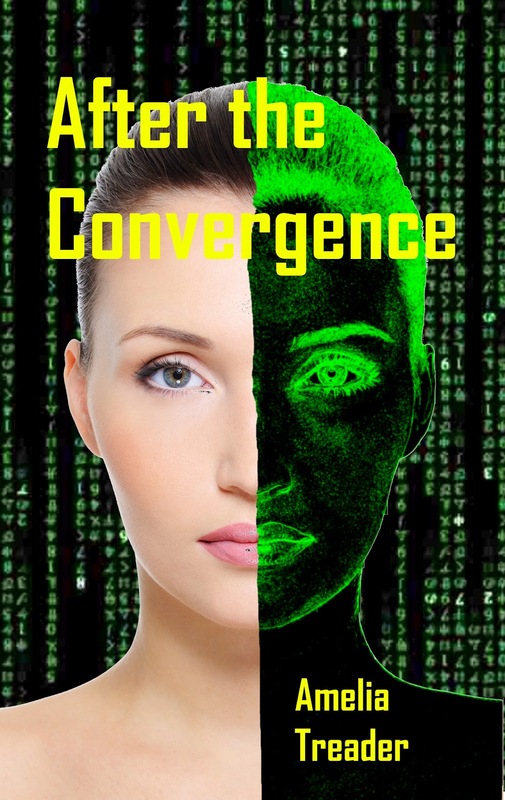 After the Convergence is a cyberpunk/detective/romance set in the not too distant future. What happens when machines finally have consciousness? Society unwraps somewhat. Those who can manipulate the machines are valued. The rest, well, they’ll just have to shift for themselves. Some like the private investigator, Alan Blake, live at the edges of society, eking a living from the fringes. Alan takes on a case, finding a missing young woman, that shoves him deep into the muck. 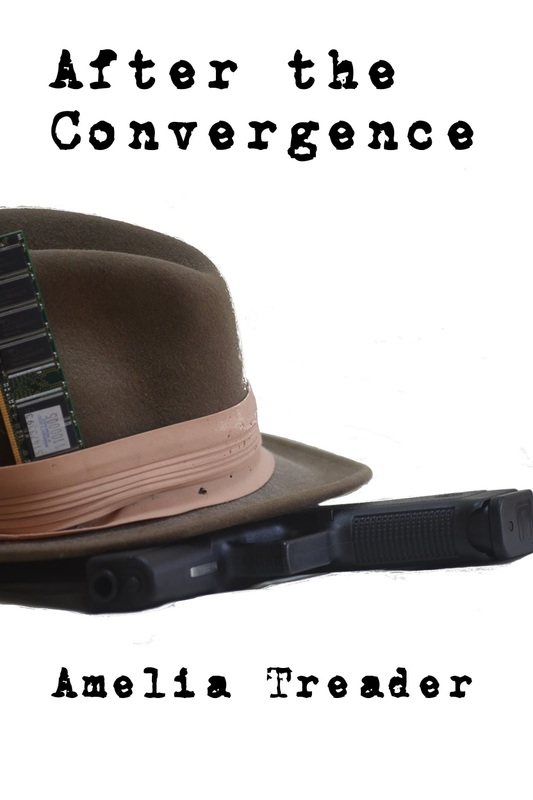 My latest, After the Convergence, a cyberpunk crime story set in a not too distant dystopia is now out for Kindle. I like the cover, a set of memory chips, a fedora (well almost) and a Glock. The murder of his partner lands the hard-bitten private investigator Alan Blake in the middle of a complex international plot involving spies, crooks, resistance fighters, intelligent machines, and treacherous former loves. Never sure of what is the truth in a shadowy half-virtual world, he pursues the “missing person” case of an intelligent and beautiful young woman. A woman who was spirited away on the day she joined “The Academy.” How could she be hidden in a world where the omnipresent machines monitor everything you do and say? He searches the morally ambiguous fringes of society, only to find a human trafficking conspiracy dedicated to replacing the intelligent computers of today with ones made from humans. Can he rescue her before it is too late? One interesting and potentially useful side effect of pitmad is the ranking of tweets by a set of more or less disinterested observers. Since the fallback is to send the book to kindle scout as a sort of high-class preorder, this lets me pick the most effective one-liner. Author AmeliaPosted on March 11, 2015 Categories advertisingLeave a comment on Voting with their clicks. It’s one of those 80% investments with low odds, but high returns if it works. My latest “After the Convergence” is ready. This is something of an accident, but one should never look a gift computer in the chips. Now how to write 24 selling tweets. It’s harder than it sounds. I’m up to 13. Here are a few of my better ones. Author AmeliaPosted on March 9, 2015 Categories advertisingLeave a comment on PitMad?